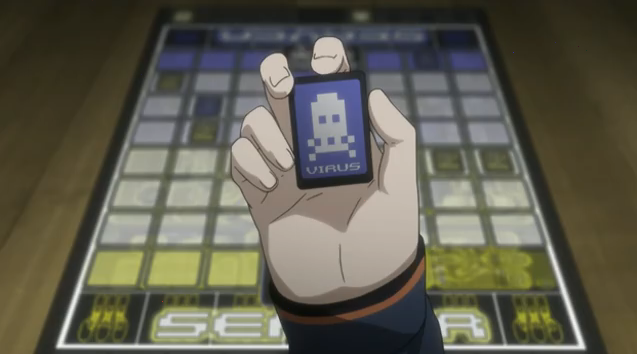 Steins Gate 12 – when in doubt attack! And with this, the first half comes to a close. Steins;Gate episode 12 includes some more disruptive hints, a change of heart, and the death of a major character. Suzuha, dropping hints, but unwilling to speak her mind directly. So here’s something I find interesting about Suzuha, our part-time warrior. She has appeared to have information from the future, but we still don’t know the details. In this scene Suzuha (once again) confronts Christina, accusing her of being a SERN spy. Instead of saying that she knows this because she is from the future, she says she knows because of prophecy. One theory about Suzuha is that she was the pilot of the time machine that crashed in episode 1. Another theory that is consistent with the “prophecy” angle, is that she is the recipient of a time-leap, but this would seemingly contradict her being the pilot of the time machine. 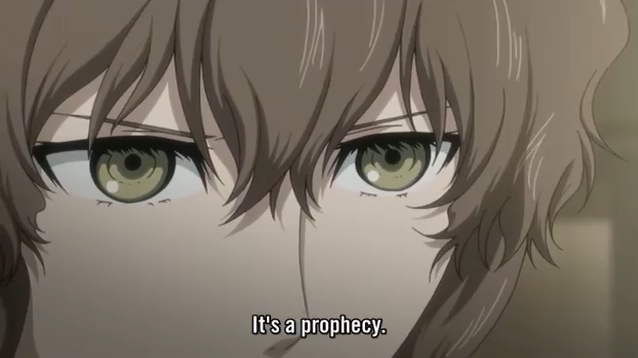 I have also previously suggested a third theory: Suzuha is being manipulated by someone who either has access to future knowledge, or at least has a grudge against Christina (possibly both). Why doesn’t Suzuha reveal that she is from the future, if she truly is? Okabe's decisions, especially to not reveal the threats seem to be placing the team in danger. Christina finishes the modifications to perform the time-leap experiment, but Okabe unexpectedly decides they will not perform the experiment after all; instead they will turn over the research to a reliable institution. Okabe’s decision seems to be founded in part on his fear of what might happen to Mayuri. When he received the doll’s head threat, he kept muttering “Mayuri”, not “Christina”. Also, this episode begins with a vision ? dream ? memory ? 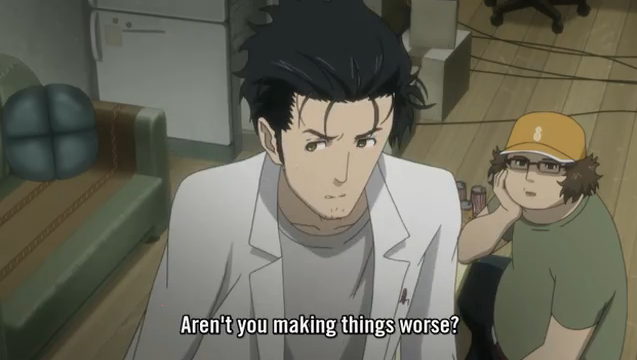 of Okabe talking with Mayuri in the distant (prehistoric!) past, in which Mayuri dies. Why does Okabe consider the target of the threat to be Mayuri specifically? Shining Finger? Where are your glasses? Who the hell is FB? Just as everyone is having a good time, Moeka busts in with a bunch of armed thugs, and kills Mayuri. All Mayuri ever wanted to do was have fun with her friends. So in addition to some obvious questions (e.g. 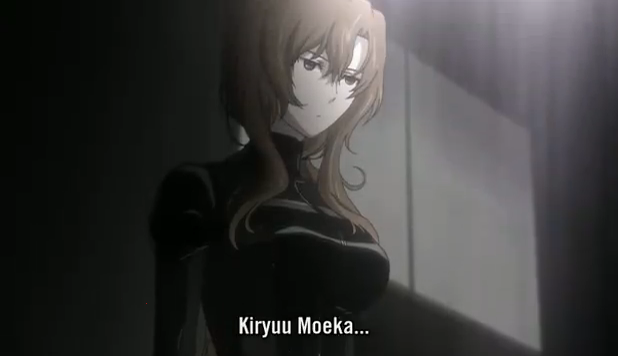 why is Moeka working for the bad guys? 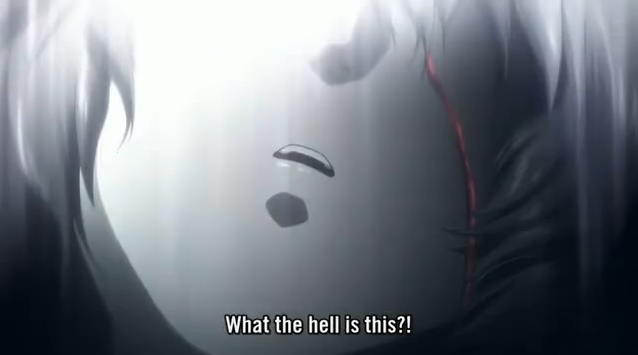 ), we have to wonder, did Okabe have some sort of premonition of Mayuri’s death? What about Mayuri herself? Why did she suggest she was leaving practically MOMENTS before she was shot to death? Well, you can’t expect easy answers at this point in the season. If they had a brilliant cliff-hanger, this was obviously the time to bring it out. Steins;Gate has been consistently building its world, and developing a sense of dread about the potential forces of darkness (REALLY dark, since they control black holes). Those forces have finally shown themselves directly, and we already have tragic results. I am very much looking forward to the next portion of the story. Like I said elsewhere, Mayuri is going to play a prominent role in the events to come probably because Okabe’s going to try and bring her back. Her original body was in the desolate wasteland anyways, so there’s no telling what might happen next. 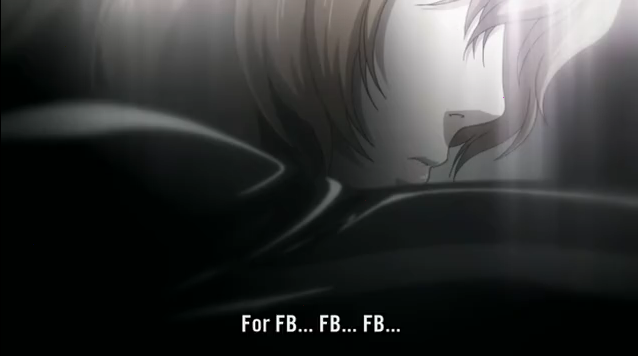 Yeah, if I were Okabe, I would definitely try to bring her back. I almost wrote a whole post just about how much I appreciated her personality. Okabe is constantly doing something stupid or wrong, and she has an excellent way of quietly, without escalating the situation, pointing out the bad behavior and asking for it to stop. Examples include the “Mayushii doesn’t like it when we fight,” from this episode, and “Mayushii is sad and embarrassed,” last episode (after Okabe burst in on her in the bath). I don’t have that kind of patience, I can be quick to anger, and quite loud, so I admire her soft-spoken, but direct approach. She comes across as kind of simple-minded sometimes, but the world would probably be much better off with a few more Mayuris and fewer hot-heads like me. I was right! suzu knows the future events! man hope new ep comes out soon though im saddened i wont hear my tututuru now Moeka killed her!?!?!? I’m kind of leaning on the Suzuha came from the future (SERN’s dystopian one) using the crashed time machine side of the speculah, she’s doing the obvious things to make it seem otherwise but at the same time all her reactions to everyday things completely give her away. That said I don’t really think the writer is trying to hide things, they get quite a few hints beforehand. The same could really be said for Mayuri’s death, there was just something far too nice about the scenes between her and Okabe. Which showed that she’s the one he cares about the most and is his biggest weakness, so something like this was bound to happen to her once they delved too far. That said how sudden it was still shocked me, one moment she’s on the rooftop talking about what will happen afterward with Okabe and the next Moeka bursts through the door.